Although I had initially bought an old Starlight Xpress MX7C as my first camera I really got nowhere with it. It was a one shot colour camera with a very small chip and as stated on another page - I came to know that if I was to get into photography I would need to change out perhaps all of my initial gear. 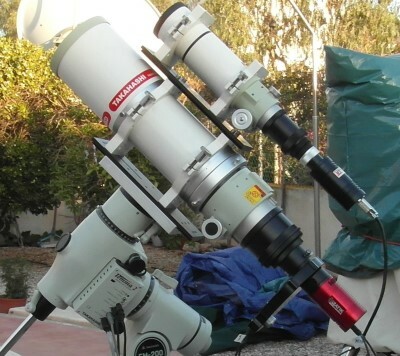 The Atik 460 EX was a huge step - in the right direction. I was toying with a One Shot Colour camera again but having various conversations via internet boards I took the plunge with a mono camera - knowing that I would also have to get a filter wheel. The thoughts of imaging via a filter wheel and merging all the subs seemed daunting and indeed it was a steep learning curve. Getting, not only familiar with a new camera, but also the software that would have to be used was very time consuming - but enjoyable nevertheless. It was a decision I never regretted as it became evident over time, that for me, in this moderate light polluted location, Narrow Band imaging (using Ha, OIII & SII filters) was the best option. This of course can only be done using a mono camera. All this started in 2013 and I can honestly say that it is only now in late 2015 that it is all coming together. Not the physical part of making a picture - but getting the most out of the equipment via various software. For anyone starting out......just stick with it! You will note that I subsequently purchased another camera. Not only was this linked to the need for better cooling (in the hot Spanish summer months) but also the desire for better resolution. 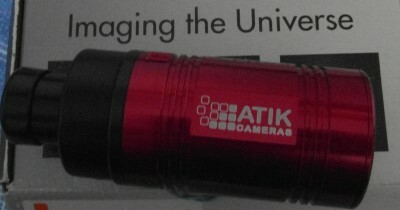 The ATIK 460Ex served me well and I would recommend it to anyone thinking of buying this model. Personally, I love the low noise Sony chips and using it in tandem with the FSQ 106 ED, I got away without even doing 'Flats' for a long period, until I saw it was time to take another step to improve the images. 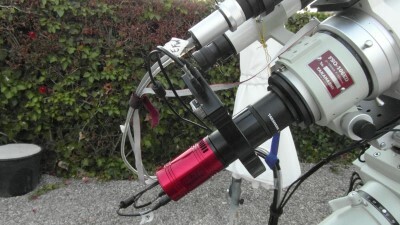 Atik 460EX Camera on main scope with MX7C on guide scope. 460EX in position behind the filter wheel. 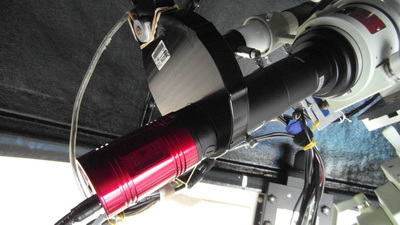 Here connected with reducer & spacer.